Today, renewable energy is slowly becoming a viable alternative to traditional fossil fuels. For instance, every year, wind turbines across the world produce more than 65 billion kWh of power, enough to meet the energy needs of around 6 million homes. When it comes to their installation, however, wind turbines usually require wide open spaces, which are often quite scarce in countries with high population density. 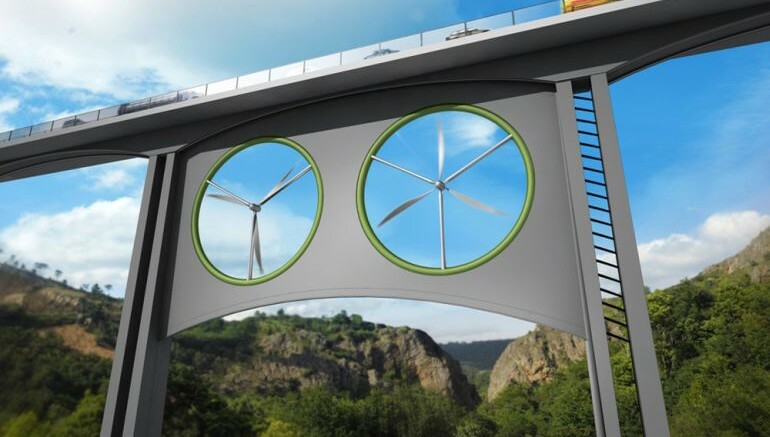 A team of scientists, at London’s Kingston University, has come up with an innovative solution that proposes the use of “dead space”, such as the underside of a bridge, for the construction of these turbines. For the research, the team has used advanced computer modelling to measure the efficiency of various wind turbine options, when suspended from a bridge. Located in the Canary Islands, near the northwestern coast of Africa, the Juncal Viaduct serves as the primary model for the project’s theoretical testing. 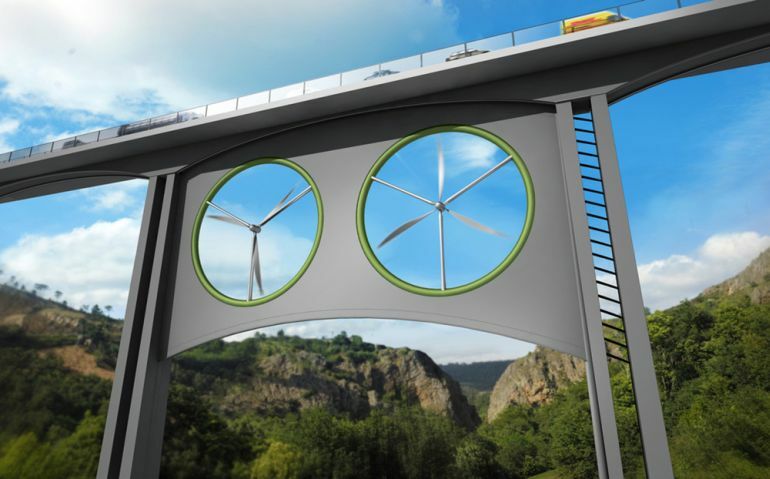 According to the scientists, installing the turbines underneath a viaduct – a bridge featuring a series of arches or spans – could prove to be an efficient way of sustainably harvesting electricity, especially in places with severe land shortage. With the help of computer simulations, the team has successfully determined the type of wind turbine that would be ideal for this system. Instead of one large unit, the researchers believe, a set of small, yet powerful, turbines would generate greater amounts of electricity, while working concomitantly. In terms of efficiency, the ideal set-up, for the Juncal Viaduct, would be a set of 24 small turbines. This kind of installation would avoid the emission of 140 tonnes of CO2 per year, an amount that represents the depuration effect of about 7,200 trees. The findings of the study were recently published in the journal, Renewable and Sustainable Energy Reviews.